Travel, history, ghosts and more are among the many subjects of the USC Press' books. 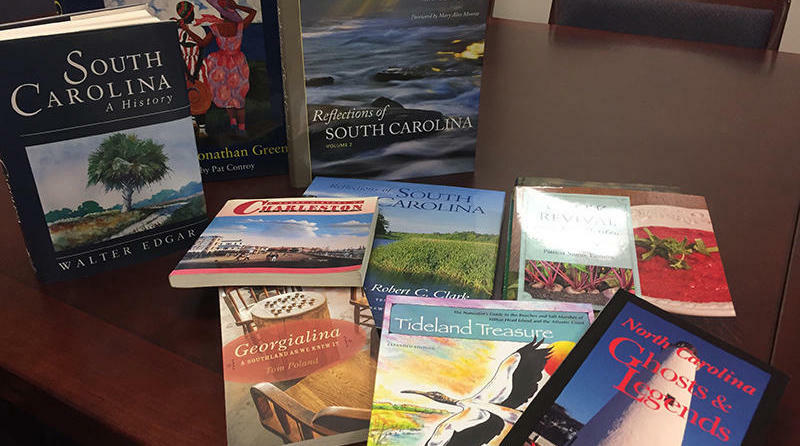 The Palmetto State has a prestigious name in the world of publishing: the University of South Carolina Press. Because it’s a non-profit, it can publish scholarly books on important subjects that would not make a profit for commercial publishers, according to Suzanne Axland. But that doesn’t mean the press doesn’t publish for the general interest. It prints a wide variety of books on art, history, Southern culture, beautiful photography and more, even novels, says Axland. Columbia writer Tom Poland has published 8 of his 14 books through the USC Press, and talks about the rigorous process books go through to assure that the press’s products meet the highest standards of publishing. Both agree that the reader is the ultimate beneficiary.